The finest strata property available on the Sunshine Coast. 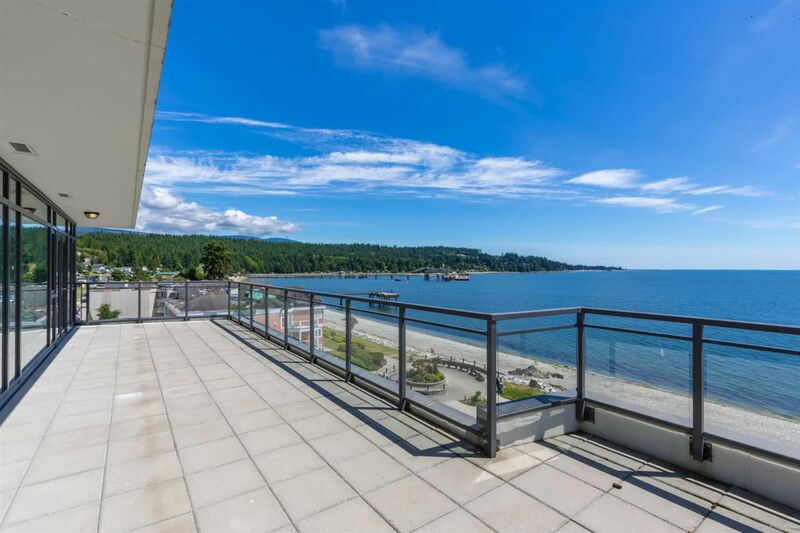 As the Penthouse suite in the Watermark, this is the largest floor plan available in this waterfront building in the heart of downtown Sechelt. You will not have to give up your house-sized furniture here, nor your gardening with almost 500 square feet of outdoor space. Balcony includes natural gas hook-up for the BBQ chef. Unobstructed 275 degree views from the South-facing balcony, dining area, kitchen and living room through floor to ceiling windows. Bathrooms, including ensuite for Master, provide natural light through skylights while heated floors keep your toes nice and warm. Concrete construction affords you both peace and quiet as well as peace of mind in the quality of this landmark building. Showings by appointment.